By Thomas G. McLeod, M.D. ABCLabData is an expansive laboratory test reference program for Palm OS and Pocket PC handheld computers. 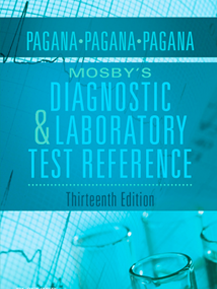 Originally published (in hard copy) by Dr. Seymour Bakerman in 1983, the ABC's of Interpretive Laboratory Data has become a trusted reference for information and interpretation of common laboratory tests in clinical medicine. The handheld computer version (4th edition content) was adapted and released by Skyscape Inc. in 2002. More than 1,000 entries are alphabetically catalogued in the handheld version, representing the 500-plus individual and panel tests included in the popular hardcopy manual. Content for each entry is concise and organized under Specimen, Reference Range, Method, Interpretation, Selected References, and Miscellaneous tap-sensitive tabs along the right margin of each screen. Drop-down context-sensitive Help and personal Notes entry icons are available in the upper right corner. As for other company products, content for ABCLabData tap-links directly to relevant information in other Skyscape applications installed on the same device.